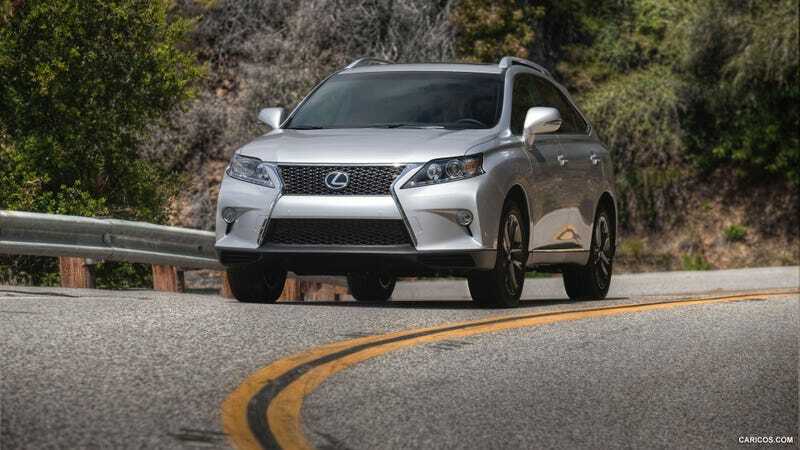 According to Edmunds, the 2015 North American International Auto Show next month will see the debut of an all-new Lexus RX crossover, in addition to a high-performance GS F sedan. There will be an assortment of new luxury and family-focused crossovers, including the redesigned 2016 Audi Q7 and redesigned Lexus RX. Also slated are concept versions of the next-generation Honda Pilot and a new five-passenger crossover from Volkswagen. No additional details were included in the report, but the latest rumors tell us that the 2016 RX will be larger in nearly every area. The extra space will allow for more differentiation in size from the recently-introduced NX, as well as seven-passenger seating, for the first time in the history of the nameplate. While the fourth-generation RX will be marginally larger, the powertrain lineup is expected to remain the same. A V6-powered RX350 model will be the entry point into the range, and a hybrid-powered RX450h version will pair an electric motor with the gasoline six-cylinder. Visually, the 2016 RX is expected to continue with Lexus' latest design language, featuring a large spindle grille and lots of creases in the bodywork. Some reports say that styling cues may also be taken from the Japanese-market Toyota Harrier crossover. Stay tuned for more information leading up to the 2016 Lexus RX's Detroit Auto Show reveal early in 2015.